Technologies - "ELTUR-SERWIS" sp. z o.o. 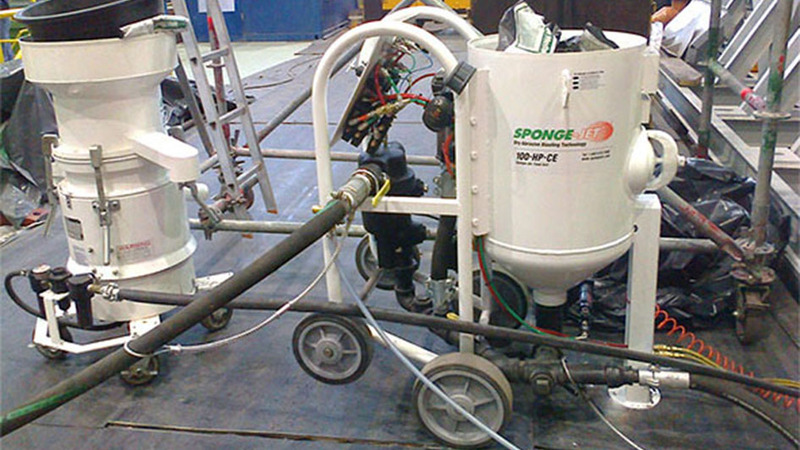 We offer low dust, low-splinter abrasive blasting applying a modern Sponge-Jet technology. Our assets include a modern Sponge-Jet cleaning machine that has the capability to limit dusting during the cleaning of power unit elements, which makes the process harmonious with nature. The dust emitted during the removal of dirt from fouled surfaces is reduced to a minimum. Thanks to the application of the Sponge-Jet process we have become pioneers in the application of this innovative technique in the power sector. The key element in the Sponge-Jet technique is the application of sponge abrasive material. Thanks to the application of Sponge-Jet as the basic cleaning material, the technique combines the softness and gentleness of sponge with the power of dirt removal. Using the Sponge-Jet cleaning machine, a certain surface profile (6-100 µm) is obtained which secures the right base for making further chemically resistant and anticorrosive protection systems, especially in places with limited access. Such a solution extends the durability of executed works, reducing the need for maintenance and servicing at a later stage. The application of Sponge-Jet technology enables the use of a wide array of abrasive agents, and replaces: shot blasting, sand-blasting, blasting with corundum, as well as synthetic glass beading. The application of Sponge-Jet technology improves working conditions and personnel safety, which plays a pivotal role for “ELTUR-SERWIS” Sp. z o.o. in maintaining the opinion of reliable and trustworthy partners. the myriad of surfaces that can be cleaned using Sponge-Jet equipment supports the better orchestration of works performed in various areas. 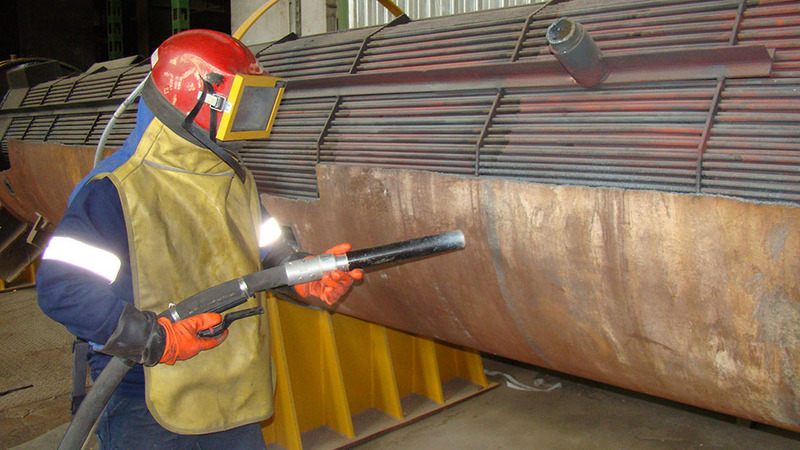 We offer repair works and maintenance of power equipment with the application of Sponge-Jet technology during the preparation of equipment for remanufacturing. Consequently, the services delivered by “ELTUR-SERWIS” Sp. z o.o. can be provided faster, are less expensive, and leave a longer lasting effect.